The cat has its own unique physiology, diseases and reactions to drugs and treatments. Cats also have their own set of behaviours that can make even noticing illness very difficult. Cats never make things straightforward, which is probably why so many of us are fascinated by them – you need to be a good detective to work out a cat! So what are the extra hurdles which cats present when it comes to their health? Click here for our Pet Care Plan/Discount Scheme to spread the cost and save money on all your cats preventative care. Cats can look remarkably well even when there are problems. It’s remarkably difficult to age a cat just by looking at it. In its first year, or even its second, the cat has a youthful look and energy that give us some clues. However, after that many of our cats can seem to remain unchanged into their mid-teens if they’re lucky. As they get into double figures many dogs go grey around the muzzle and face, move less easily and change their body shape – it’s fairly obvious that they’re ageing. But the youthful-looking cat doesn’t go grey and could easily fool you as to its actual years. Cats are predators and as such we think of them always at the killing end of a predator/prey encounter and always on top. However, the cat is a small predator, and there are other animals (and even people) who’d be happy to treat it as prey as well. The cat, of course, is well aware of this. It doesn’t have a pack to hide within like a dog, no others of its kind that are going to stand up for it or provide a united front against a threat. It’s a small animal with only itself to rely on when it comes to avoiding or escaping from a dangerous situation. Therefore it needs to ensure that it doesn’t show vulnerability or weakness that might draw an opportunistic predator’s attention. Probably because of this, cats are excellent at not showing they’re ill. They don’t whine like the dog. They often just become quiet and stoic, and unless you notice that this is in fact a change in their normal behaviour you may not take a second glance – the cat removes itself from the radar and merges into the background until it feels better. As cats age more complex things can go wrong. Though young animals can become ill, they usually suffer from one particular illness at a time, which can be tackled individually. As a cat gets older, however, the chance of an organ or body system going wrong increases, and there’s a likelihood that several things may happen at once as the body ages. Once again, therefore, it pays to keep a close eye on your cat. Owners have to be detectives when it comes to noticing behaviour changes. 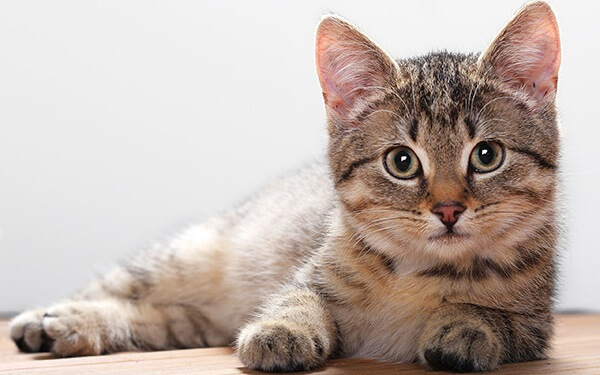 Cats often just go quiet when they’re ill, and in a busy household where the cat uses the garden rather than a litter tray as its toilet, there may be no obvious signs that it is unwell. It may be one of those cats that drinks outside because it prefers rainwater to water in a dish, so owners may not even notice an increase in thirst and drinking. Without a litter tray owners may not notice diarrhoea or a change in the volume of urine, and so not pick up these pointers to a problem. If the cat has simply gone quiet or seems to sleep more nobody may ask any questions. If it’s less interactive or a bit grumpy it takes an owner who can let this clue enter his or her consciousness in a busy life to realise that it might mean something. Cats don’t like going in the car, let alone to the vet. It’s difficult to medicate cats. Cats often don’t make it easy for us to care for them. They don’t mind it if we handle them for cuddling or stroking, but try to restrain them for the purpose of giving them a pill or a potion, and again, like getting them into the cat basket, they seem to instinctively know what’s going on and will try to hide or to get away. Giving a cat a pill can turn into a major struggle and it takes a dedicated owner to persist. Often treatments are started and then abandoned, especially if there seems to be a bit of improvement. However, with treatments such as, for example, antibiotics it’s important that the whole course is taken so that antibiotic resistance doesn’t develop.